The United States has shared with its UN Security Council allies a draft resolution calling for international aid to be delivered in Venezuela and for a presidential vote to take place. While no date has yet been set for a vote on the American draft, and negotiations are ongoing, Russia is likely to use its veto power to block it as part of its support of Nicolas Maduro’s regime, diplomats said. The legislative body’s chairman, Juan Guaido, has declared himself interim president of Venezuela, challenging Maduro’s rule. The text also requests that UN Secretary General Antonio Guterres “utilize his good offices” to obtain such elections. On Friday, Moscow proposed an alternative text to the American one, diplomats said. It expresses “concern over the threats to use force against the territorial integrity and political independence of… Venezuela,” according to a draft seen by AFP. However, a diplomat told AFP that if put to a vote, the Russian text would fail to obtain the minimum of nine votes to pass without another veto-wielding country blocking it. 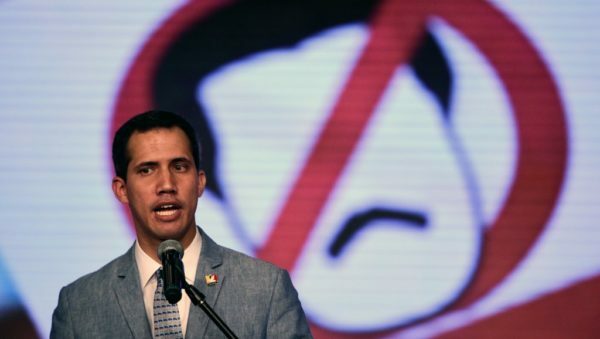 Guaido said Friday he was ready to take any necessary measures, including authorizing a US military intervention, to force Maduro from power and alleviate the humanitarian crisis.